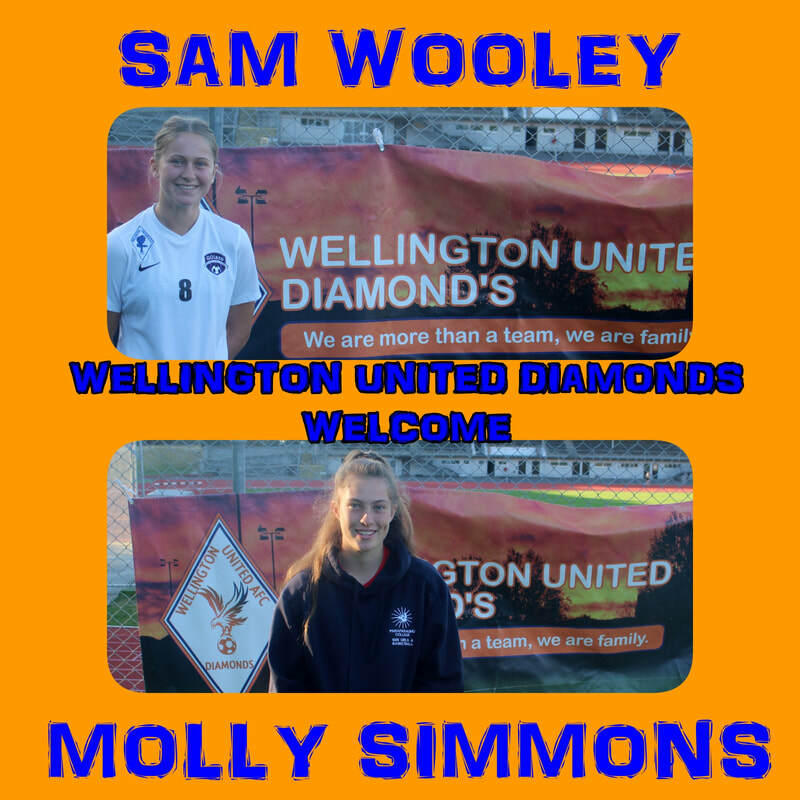 Wellington United have signed a further two players for the 2019 season, goalkeeper, Molly Simmons & Centre Back Sam Wooley. Molly Simmons comes to United from Capital Premier side Kapiti Coast United where she has made 37 appearances between the sticks in the last 2 seasons. She is relishing the opportunity to develop and learn and says that was a key reason for joining the Wellington United family. It is likely Molly will play for the Sapphires in the Capital Premier, but with Roni Lipi likely to be heading to the South Pacific Games with Samoa in July she may get a chance to show her wares at W-League level. Sam Wooley made her debut in the 4-0 Kelly Cup win against Wairarapa United on Saturday. She had a fantastic game and despite saying the level was a real step up for her, she really enjoyed it and coach Guille Schiltenwolf said “she fiited in like she had been in the team for years”. Sam actually joined United’s junior club two years ago, when she saw the pathway United could provide. She is looking forward to the season especially being part of the Wellington United Junior side that will be travelling to the Gothia Cup in Sweden, the largest youth tournament in the world, with over 1700 teams taking part. It is likely both players will be playing this weekend in the Kelly Cup \ Executive Shield games. Diamonds take on W-League newbies Victoria University in the second round of the Kelly Cup. These teams met last year in the second round of the Kate Sheppard Cup, where a hat-trick for Jemma Robertson, a brace for Dani Ohlsson and 1 for Mickey Robertson saw Diamonds winning 6-0. The curtain raiser game in the Executive Shield will be between the Sapphires and Capital Premier newbies, Victoria University Reserves.